Homelessness literally means ‘without a home,’ yet this definition may not include those persons who live in small quarters with relatives or friends, those who face frequent evictions, or those who are just a paycheck away from homelessness. In FY 2010, Florida had approximately 57,643 men, women and children classified as homeless. 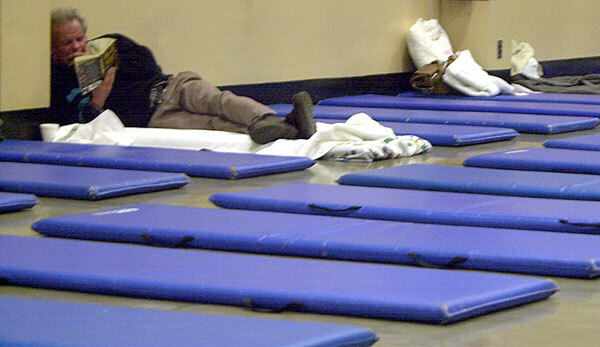 Florida has the third largest homeless population in the nation and is the second highest state for home foreclosures. The profile of Florida homeless has shifted. Although single adult males make up 41% of the total homeless population, families and children continue to be a growing segment of the homeless in Florida. Families now make up 40% of all homeless persons. Children under 18 years of age comprise over 35% of all homeless persons. When children become homeless, they face educational setbacks. Requirements of the legal guardianship, lack of a permanent address, and immunization records often delay or prevent homeless children from enrolling in schools and receiving an adequate education. Without a chance to get an education, children who are homeless are often unable to acquire the necessary skills they will need to escape from the poverty that led them to become homeless in the first place (National Coalition). The stresses and immediate needs of food, shelter, and safety put literacy training far down the list of priorities for the homeless. While there are several factors that lead to homelessness for both individuals and families, encouraging family literacy and continuing education can ease this epidemic. Professor O’Neil-Pirozzi from Northeastern University in Boston, created a volunteer program for her students to teach family literacy in homeless shelters. She encourages parents to participate in the literacy program because it could also help to connect the family to external services. Parents are able to learn and watch as different methods of learning are taught to their students. Another national trend to encourage literacy among the homeless population is newspapers written and sold by people who are homeless or on the verge of becoming homeless. The Homeless Voice, based out of Hollywood, Florida, is the second-largest street newspaper in the country. It covers issues related to homelessness and is written by homeless people. The paper is sold for donations on the streets of South Florida with proceeds going to the medical and food programs at the COSAC Shelter in Hollywood. Tampa recently adopted another homeless based newspaper called the Tampa Epoch. Each copy of the Tampa Epoch will cost a dollar. Homeless vendors are sponsored through donations for the first 25 papers and then will be able to purchase more to sell for 25 cents. The Florida Literacy Coalition’s report on Literacy and Homelessness inspired and provided information for this post.